Whether it’s enjoying a scenic cruise through Sydney Harbor, staring in awe at the amazing natural beauty of the Blue Mountains, or sampling a world class Shiraz at one of the many vineyards in Hunter Valley, you’ll find that a trip to New South Wales will be a joy to all the senses that you’ll cherish for a lifetime. Imagine yourself being treated to the perfect acoustics of the Sydney Opera House as you see a performance from a world-renown performing artist, or learning about how the aborigines created art to explain the wonders of the natural world, or getting that adrenaline rush as you skydive over Byron Bay. New South Wales is chock full of excitement and eye-opening experiences that you can cross off of your bucket list. In Sydney, the capital city of New South Wales, you can shop at the high fashion boutiques and enjoy the perfect weather as you dine in an outdoor café. 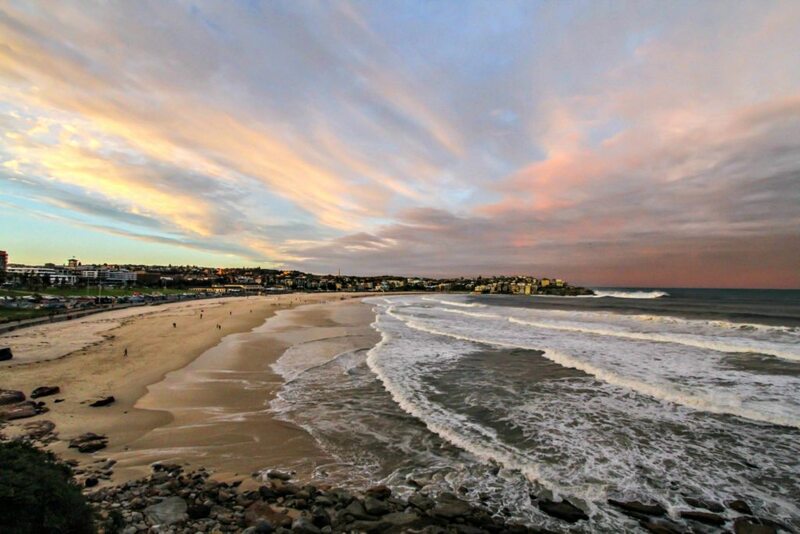 Take in some of the world class sporting events, have a relaxing stroll on Manly Beach, or catch some waves at famous Bondi Beach. 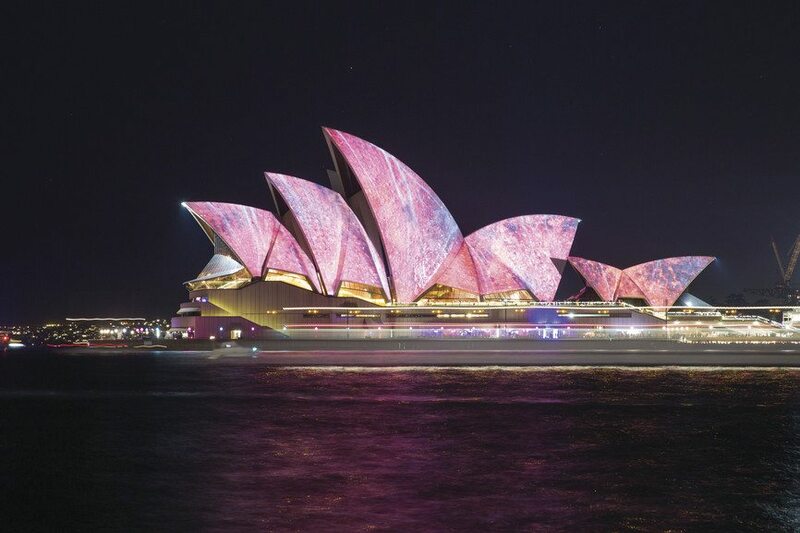 One of the highlights of the year that happens every May is Vivid Sydney, where the iconic buildings all around the harbor are lit with vibrant colors and there are free live music performances all throughout the city. This is a must see. Sydney is famous for its spectacular fireworks display as Australia rings in the New Year in style. For the thrill seeker in you, perhaps a hike over the iconic Sydney Harbor Bridge is in order as you traverse the world’s longest single span bridge and get a spectacular view of the harbor. For those seeking fine art, Sydney is home to several art galleries that feature aboriginal as well as modern art. Once outside of Sydney, nature abounds as you take a short drive to the Blue Mountains. The ancient rock formations and steep drop offs offer a panoramic vista that will take your breath away. The Blue Mountains is home to the steepest incline for a passenger train in the world as you descend over 1100 feet to the valley. Take a trip into the Jenolan Caves with tours for all fitness levels as you’ll see the world’s oldest cave systems. Make sure you reserve your spot on the ‘Legends, Mysteries & Ghosts’ tour as you will experience what the Gundungurra people called ‘Binoomea’ which means the dark place. You spine will be tingling as your guide tells of the mysteries, and unexplained phenomena that have been observed over the years. 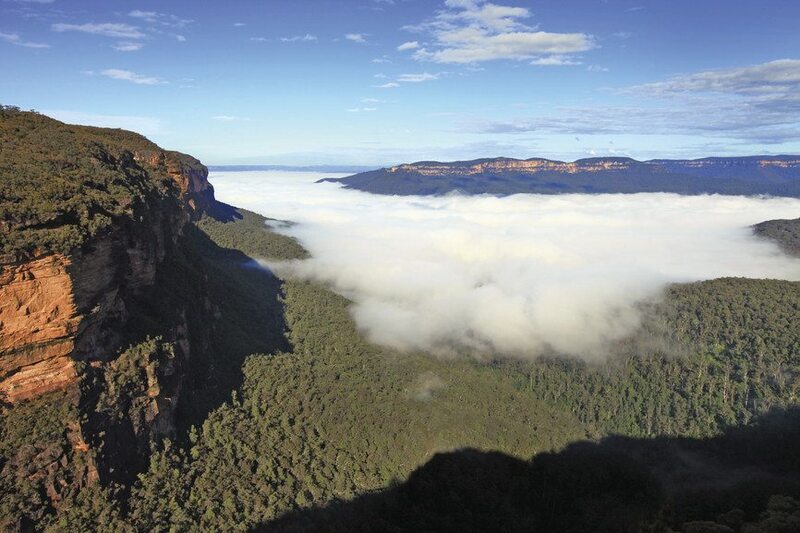 Returning to the daylight, you can hike through the rainforest in the Jamison Valley or view thundering waterfalls at Wentworth Falls. Head east from the falls toward the central coast and you can enjoy the Australian Reptile Park, a refuge for many of the native wildlife species. For adventurers and thrill seekers ages 3 and older, the Tree Top Adventure Park offers a chance to explore the trees and take on more than 100 different obstacles on the adventure course. Take a quick day trip and indulge in the world class wines available in the Hunter Valley region. With over 150 wineries, 65 restaurants, you’ll be able to satisfy the foodie in you. Australia’s oldest wine growing region is just a short 3 hour drive outside of Sydney making it a perfect destination for a romantic getaway. Head east from the Hunter Valley and enjoy a peaceful seaside stay in beautiful Byron Bay. You can hang ten on some of the best surfing beaches in Australia and enjoy fresh seafood and locally grown produce. Home to many five star luxurious resorts, Bryon Bay presents picturesque views of the Pacific Ocean. 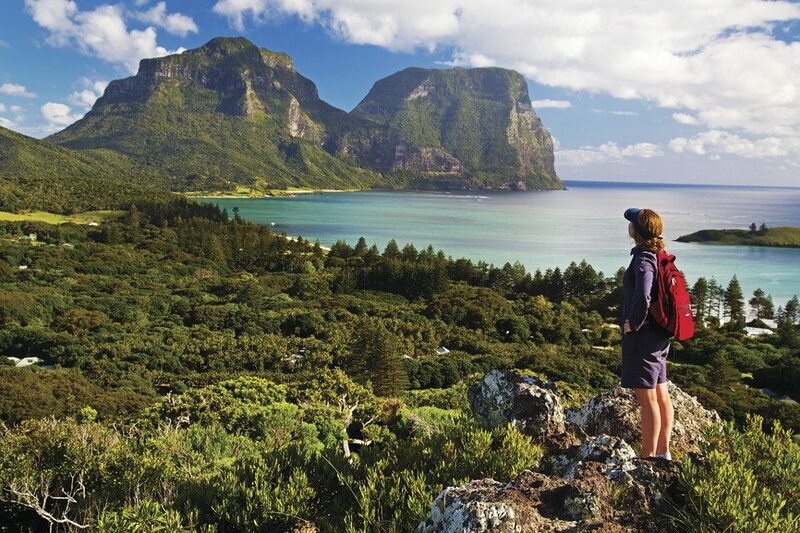 Finally, for those seeking the off the beaten path experience, take a 2 hour flight to Lord Howe Island from Sydney. With only 400 visitors allowed on the island on any given day, you’ll be able to get away from the hustle and bustle of the big city and find your own slice of paradise a you swim, snorkel, or dive in crystal clear water around the world’s southernmost coral reef. One of the best scuba diving sites in all of Australia is at the base of the Balls Pyramid where you can view a pristine sight teeming with a variety of wildlife. As a certified Aussie Specialist I can help you to create a custom itinerary that will enable you to enjoy all of the beauty and excitement in New South Wales and other parts of Australia. Contact us to book your dream vacation to the land down under today. Have a story or experience you’d like to share from your trip to Australia? Leave us comment below.